"Travels in Alaska" is John Muir's written account of his numerous trips to America's last frontier. 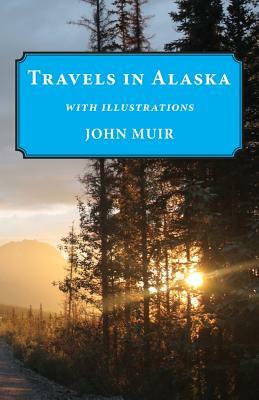 In his enthusiastic and vivid style, Muir describes the land, the waters, the people, and the flora and fauna of Alaska. Alaska's massive glaciers are of particular interest to Muir, and he devotes considerable time to describing and understanding their movements and impact. Muir's energetic, and often poetic, narrative will engage readers and bring them along to witness his inspiring journeys and bold adventures. Beyond the wild Alaskan environment, Muir also recounts his encounters with Alaska's locals, including hunters, frontiersmen, townsfolk, and Native Americans. This J. Missouri edition contains the original photos taken by Muir's companions and 21 contemporary photographs and illustrations of Alaska.